Nickelodeon – From SpongePedia, the biggest SpongeBob-wiki in the world! Nickelodeon (or Nick) is a pay-TV channel which broadcasts the Series SpongeBob SquarePants. In the "Nickelodeon Kids Choice Awards", SpongeBob has won the award 7 times in a row for the best cartoon on TV. Nickelodeon is one of the most popular kids' channels on TV. Nickelodeon broadcast many shows, from the Fairly Odd Parents to Jimmy Neutron. Nickelodeon has ads revolving around shows, kid toys, and information that kids would be interested in. It has many ads revolving SpongeBob, SpongeBob shorts and anything to do with SpongeBob franchising and new episodes. On the channel of Nickelodeon there are many spin-offs. Here is the current list Note that not all of these are Internationally broadcasted. These channels are 100% affiliated because they for by the name and they are obviously on the same channel. These spin-offs are not on any different channel. Nick at Nite is a Nick programming block broadcasting from 8:00 PM to 6:30 AM. 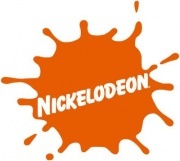 Nickelodeon changed its logo in September 2009 along with the rebrand of TeenNick, and Nick Jr. This page was last modified on 20 March 2011, at 20:00. This page has been accessed 37,002 times.